Some rain and embedded thunderstorms were impacting northern portions of North Dakota early this morning. That activity is expected to gradually fade away this morning then redevelopment occurring this afternoon into tonight. 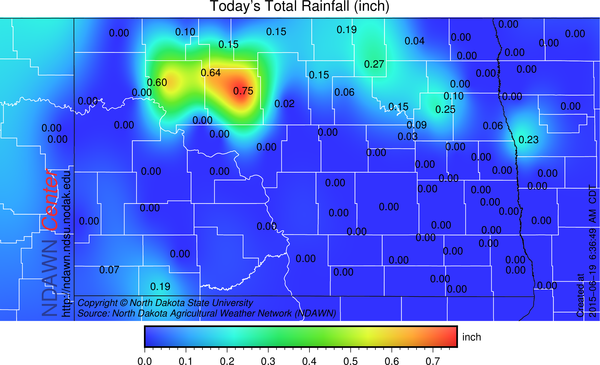 Rainfall amounts were generally in the 0.25 to 0.75″ range with these storms, although, two reports of around 1.50 inches from within the city of Minot. Low pressure in the northern Rockies will get more organized today and then move to the east/northeast. Thunderstorms are expected to redevelop in western North and South Dakota today then move to the east impacting eastern portion of both states into Minnesota tonight. The High Resolution Rapid Refresh guidance although never perfectly correct, likely has the approximate idea on this redevelopment and movement later today into this early evening. Beyond the period of the above projection (through 8PM CDT) the storms should continue to move easterly and impact eastern North Dakota into Minnesota. There will be localized severe weather and pockets of 1 inch plus rains from these storms. The main cluster of thunderstorms is expected to be east of the NDAWN mesonet stations by very early Saturday morning. Thunderstorms leave small boundaries in the atmosphere, in some ways, these boundaries act as small cold fronts, this is mentioned because it would be these types of features that may allow for some spotty thunderstorm development during the peak heating of the day on Saturday afternoon, but generally speaking Saturday is expected to be dry for a vast majority of the area on Saturday AFTER the morning convection exits, which looks to be near sunrise or before. Much of Sunday also looks dry, BUT, there will be come storms forming later in the day into especially Sunday Night. Plus another low pressure center is expected to work through the northern plains on Tuesday for yet another threat of rain. 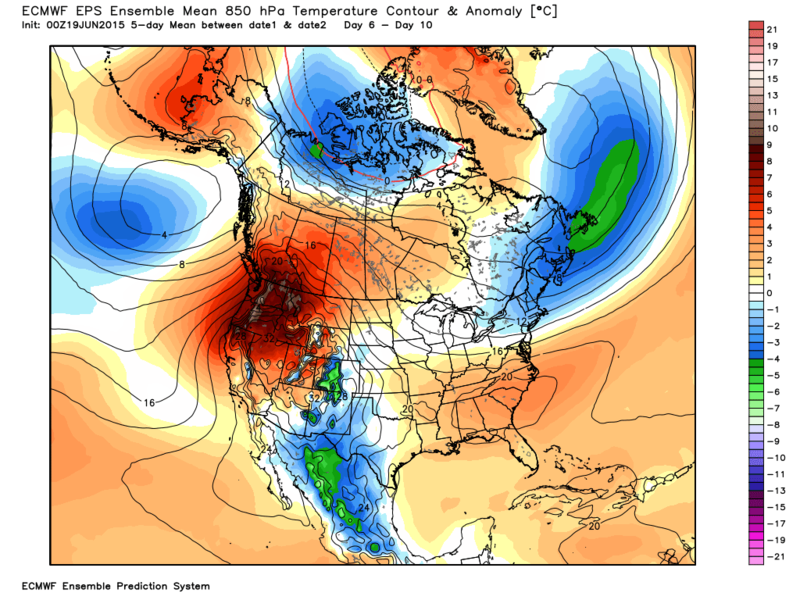 After that, it appears the region will begin to catch a break and see a drier and warmer period to finish off the month of June.